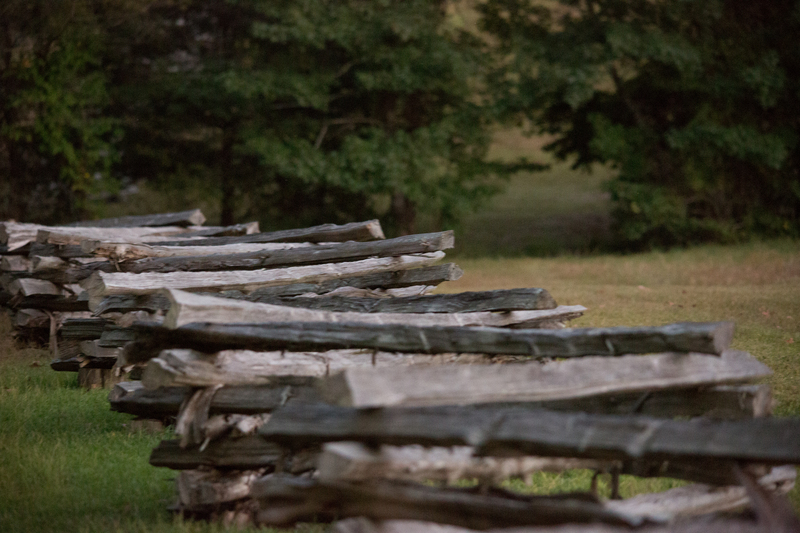 Twilight in late summer 2014, Shiloh Battlefield. This was the site of one of the critical battles of the Civil War’s Western Theater. The evening I was there, I was the only human on the battlefield. 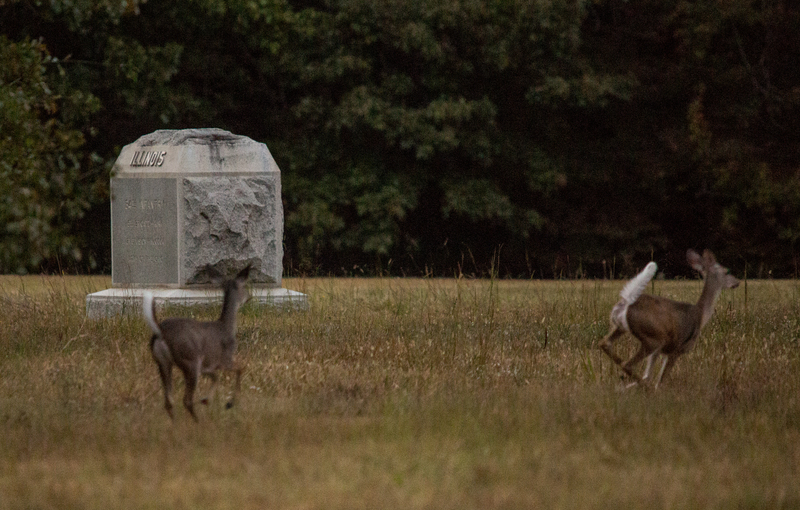 White tailed deer played among the unit markers, and a rogue bull showed up at the Hornet’s Nest. The rail fence at the Hornet’s Nest. Contrary to many post-war accounts, the “sunken road” at the Hornet’s Nest was not sunken at all, but rather a little used farm path through the woods. 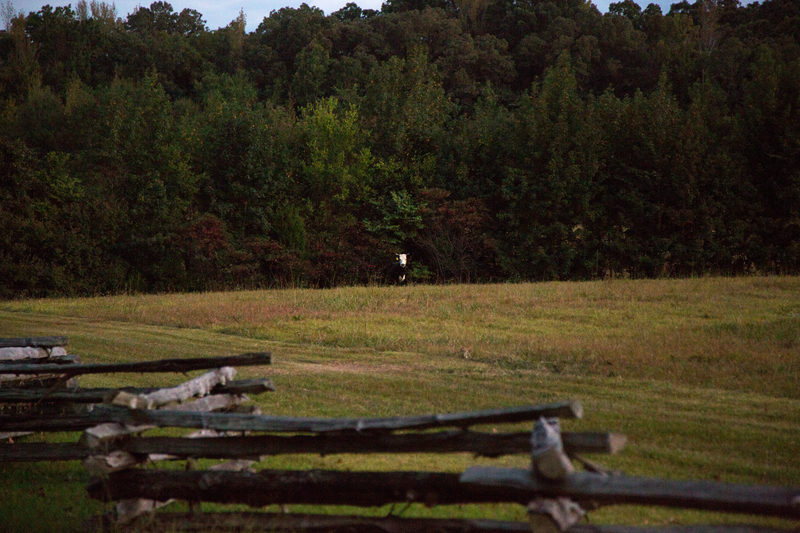 Standing at the Hornet’s Nest, watching the sun go down, I turned to see this guy staring at me from across the field where so many Confederate Soldiers perished. We gazed at each other for a long moment, and I was a bit afraid he’d charge me. (I was charged by a Moose in Colorado while working “Level Zero Heroes with Michael Golembesky). 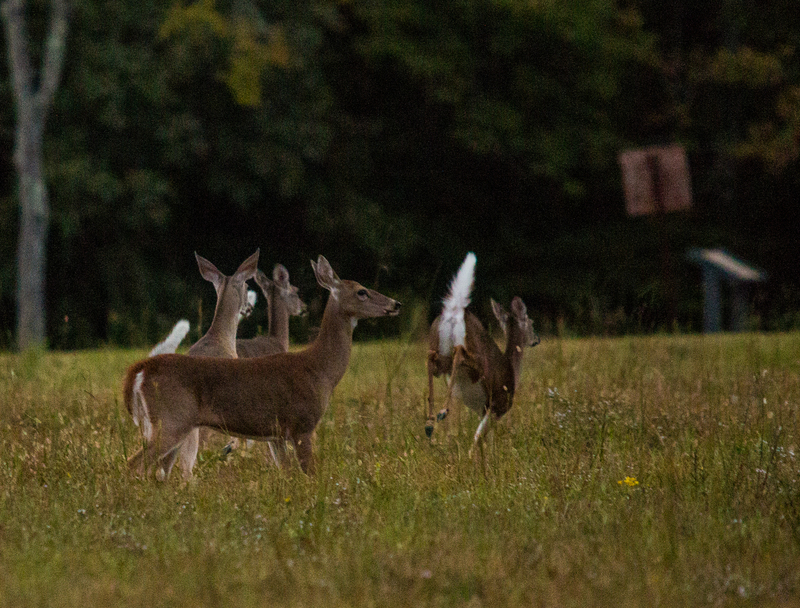 But right after I lifted my Canon to my face and snapped this photo, he lit off into the underbrush behind him. The park rangers had received several reports of him on the loose, and the next day they were out searching for him. I hope he got away. The world has enough steak out there.